With its laid-back lifestyle, lovely summer weather and extremely amiable people, New Zealand is flush with opportunities and places to enjoy a glass or two of your favourite tipple. Whether you’re restoring the tissues with a beer after a long day out on the water, or kicking back on Ninety Mile Beach with a choice gin and tonic, there’s always time to relax and soak up that serenity. It’s a tough gig, picking 10 examples from the plethora of fine wines, beers and spirits that many ingenious Kiwis are now concocting, no doubt. However, with this list we’re trying to give 10 different examples of all the different types of grog you can find; produced by the Land of the Long White Cloud. Now, being honest, as far a the beer goes you’ll be able to find many craft beers that are of a better quality than Tui. None of those new, delicious craft beers will have the pedigree and history of Tui, though. It’s a Kiwi classic, like L&P and Marmite and Big Ben Pies. Sure it might not be the best beer, but it’d be an emptier world without it. Tui is that beer you grab from the bottle shop when you’re in a rush and you’ve got a barbie (barbecue) to get to. It’s printed on the flip-flops of at least three blokes in your local watering hole, or on the back of a singlet that the builder who is working on your deck is wearing. In a nutshell; it’s a piece of Kiwiana. It has cemented a place in the hearts of all New Zealanders with its dependability and hilarious ‘Yeah Right’ billboards – not to mention its famous adverts depicting stunningly beautiful women brewing up and delivering the beer at the company’s famous brewery in Mangatainoka. This delicious and trendy boutique rum is now well on its way to taking the world by storm. It tastes great whether you’re drinking it in Martinborough or Miama, but why not give it a crack in the land it was created? And why not dive it at the bizarre deep-end and go for the uniquely named coffee and cigarettes spiced-rum? Recommended with just a splash of coke. Whilst the botanical ingredients for this complex gin are sourced from all over the world – Seville orange peel, Croatian juniper and lemon peel from Portugal, to name a few – it’s the Kiwi ingenuity that brings them all together back in New Zealand. Ariki is the word used for a Maori high-priest or chief, and there are definite Pacific tones rippling through this gin – what with the Tongan coconut, vanilla from Rarotonga and manuka flowers from NZ. This now world-famous product deserves to star in its own film. It’s a fable of sorts. A lovely Kiwi tale that begins with one bloke’s – Geoff Ross – hair-brained scheme to brew his own vodka at home for his mates. 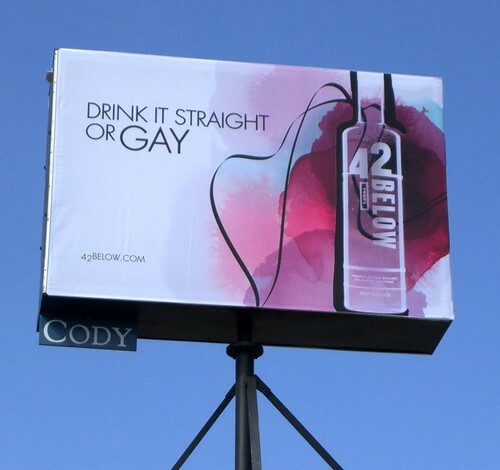 It ended with a vodka that won all the major competitions in the world and became famous in high-end bars from Brooklyn to London. The feijoa-flavoured 42 Below is an authentic taste of New Zealand, as is the manuka honey variety. This is another brand in which the Kiwi sense of humour is quite evident in the advertising. This is another inspiring story of the passion of a few evolving into something the whole of New Zealand can be proud of. Thomson Whisky pride themselves on their simple quality-over-quantity approach, and you can really taste that in the finished product. You get (and will get, as whisky matures while you read this) a sense of a local product. Something made in small batches, using ex-bourbon barrels, as well as used New Zealand red wine barrels. A must-try for whisky enthusiasts. Named with typical Kiwi flair, this tastes just as good as you’d think. 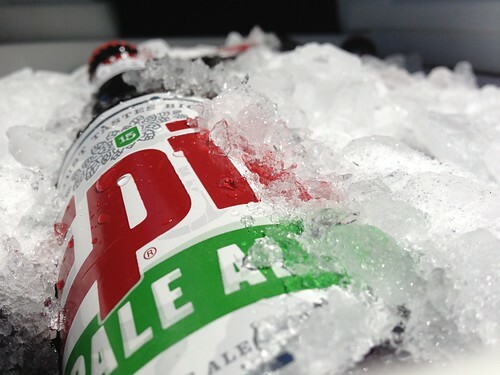 The flavours are big and bold, and the beer itself is award-winning. It’s also established enough so that it’s not exorbitantly priced – a mark against some the other craft beers out there. Brewed in Auckland, it’s now found its way over to fellow beer-loving countries such as Belgium. Now, there’s undeniably a fantastic range of New Zealand wine to accommodate all budgets and palates. 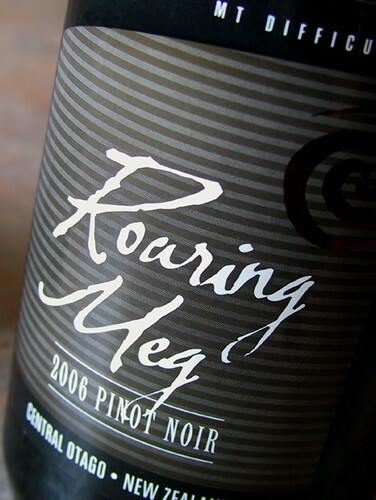 However, in the interest of an all-round pinot noir, it’s hard to beat Roaring Meg. This luscious drop – produced by Mount Difficulty Wines – hails from Bannockburn, Central Otago, and is a solid addition to anyone’s wine rack. At $30NZD, it’s what most consider pretty middle of the road price-wise, and the relaxed dark berry taste is something that most should enjoy. Here is another gin distiller that might have slipped under the gin connoisseur’s radar. Rogue Society are very much the new kids on the block. As the name suggests, their mission and philosophy is to turn tradition on its head, to try and reinvent the wheel as far as that can be done. While the exact recipe itself is a closely guarded secret (naturally), they source their ingredients from all over the globe; from England to Sri Lanka, and from Guatemala to Poland. It is the attention to detail that comes through when you take a sip, the flavours held together by that incomparable New Zealand glacial water. From the Bay of Plenty, and the good folks at Lewis Road Creamery, comes this luxurious, properly decadent treat. With a dairy industry as prolific as that of New Zealand, it’s perhaps no surprise Lewis Road Creamery decided to dip a toe into the liqueur pool. Fresh New Zealand cream, rich chocolate and just a nudge of premium distilled spirit, this scrumptious delight is good over ice, in coffee or poured over ice cream. Yum. Just yum. New Zealand is a beer lover’s country. Beer goes hand in hand with backyard cricket games, barbies, going fishing, days at the beach, rugby and basically any other occasion you care to name. Just as Tui is a staple beverage of the North Island, so Speights deserves a mention for lubricating the South Island since 1876. Among many other milestones in its illustrious, 142-year lifespan, Speights managed to pack a pub onto a boat and deliver it… to London. Talk about diplomatic relations. If that’s not worth raising a glass to then what is?